Is Margot Robbie Married, Who Is Her Husband Or Boyfriend, Mom? Home Actors & Actresses Is Margot Robbie Married, Who Is Her Husband Or Boyfriend, Mom? Margot Robbie is a well known Australian actress and movie producer who made her acting debut in 2007 playing Tristen Waters in Aash Aaron’s I.C.U which wasn’t released until 2009. Robbie moved to Melbourne as a teenager to pursue an acting career after studying drama. She landed a few roles in some Australian independent films and TV series, and then in two feature films, I.C.U. and Vigilante. She later moved to Hollywood where she intensified the pursuit of her dream. Asides being named by Time Magazine as one of its 100 most influential people in the world in 2017, Margot Robbie is a recipient of several awards which includes Empire Awards for Best Female Newcomer, Critics’ Choice Award for Best Female in an Action Movie, Peoples’ Choice Award for Favourite Action Movie Actress and many other accolades. Her full name is actually Margot Elise Robbie and she was born in Dalby, Queensland, on the 2nd day of July 1990, but grew up in the Gold Coast hinterland. Her father owns a farm and her mother, Sarie Kessler is a physiotherapist. As the second of her parents’ four children, she has an elder brother named Lachlan and a younger brother and sister named Cameron and Anya, respectively. To make ends meet, Margot worked at a family-owned restaurant at the age of ten, and by the time she turned sixteen, she had worked three jobs. After high school, she relocated to Melbourne, Victoria, to pursue a career in acting. In 2007, Robbie landed her first major and debut role in Aash Aaron’s I.C.U. She also starred in Vigilante, appeared in a few commercials, and on The Elephant Princess and City Homicide as a guest actress. From June 2008, she began playing Donna Freedman on the TV soap Neighbours, first as a guest, then as a regular cast member. From 2009, she began appearing on various Network Ten promotions, and from July of the same year, she started filling the guest spot on the network’s show Generation Y. Margot Robbie would later become a Youth Ambassador for missing persons. Later that year, she was nominated for Most Popular New Female Talent at the Australian Logie Awards and for Favorite Hottie at the Nickelodeon Kids Choice Awards. In 2010, she left for L.A in pursuit of her Hollywood dreams which she began to live as soon as she arrived in the movie city, appearing in several blockbuster movies and series like Pam Am, About Time, The Wolf of Wall Street, Z for Zachariah, The Taliban Shuffle, The Taliban Shuffle, Neighbours 30th: The Stars Reunite, Focus and many others. Her role in The Wolf of Wall Street alongside Jonah Hill and Leonardo DiCaprio earned her the Empire Award for Best Newcomer and an MTV Movie Award nomination for Best Breakthrough Performance. Her performance in Focus alongside Will Smith also earned her a BAFTA nomination for the Rising Star Award. She has also been nominated for the Academy Award for Best Actress and the Golden Globe Award for Best Actress – Motion Picture Comedy or Musical. In 2016, she hosted the season 42 premiere of Saturday Night Live. Margot has also lent her voice in animated movies like the Peter Rabbit, a film adaptation of the Beatrix Potter book series. Her most recent works include playing Queen Elizabeth I in the 2018 film Mary Queen of Scots. In March 2018, she confirmed she would be starring in Quentin Tarantino’s upcoming film, Once Upon a Time in Hollywood, alongside Brad Pitt, and Leonardo DiCaprio. Lady Margot is the founder of the production company, LuckyChap Entertainment. In 2017, she appeared on Time magazine as one of the 100 most influential people in the world and on Forbes’ 30 Under 30 list. Margot Robbie and her three siblings were raised almost single-handedly by their mom Sarie Kessler as they only got to see their father occasionally. Because of this, she is super close to the woman, surprising everyone when she brought her along as her date for the 2018 Oscars. 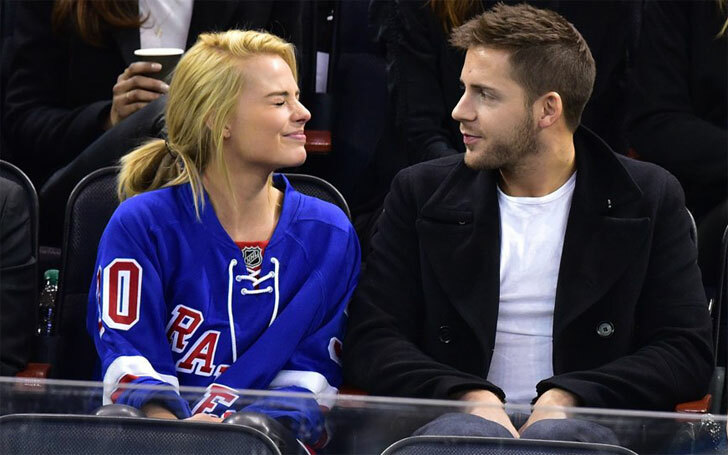 Husband Or Boyfriend, Is Margot Robbie Married? Robbie is happily married to British assistant movie director Tom Ackerley. They met back in 2013 at the set of war drama Suite Française. A few months after their meeting, they began dating secretly and three years later, the couple tied the knot in a private wedding in Byron Bay in December 2016. Fifty guests were in attendance and were not allowed to take pictures of the couple. After the wedding ceremony, Margot took to Instagram to flaunt her diamond ring and rose gold wedding band. The couple lived in London for a while before moving over to Los Angeles, where they currently reside.